Growing up, occasionally my mom would buy a plastic tub of soft cheese spread as a treat. Once in a while it was a cheeseball or log, rolled in chopped almonds or pecans, but mostly it was just a clear plastic tub that I would dip crackers directly into. This method was rarely successful and I’d often leave a trail of cracker debris in the container and someone would yell at me. But I continued to do it anyway, too lazy to get a knife and a proper plate I suppose. 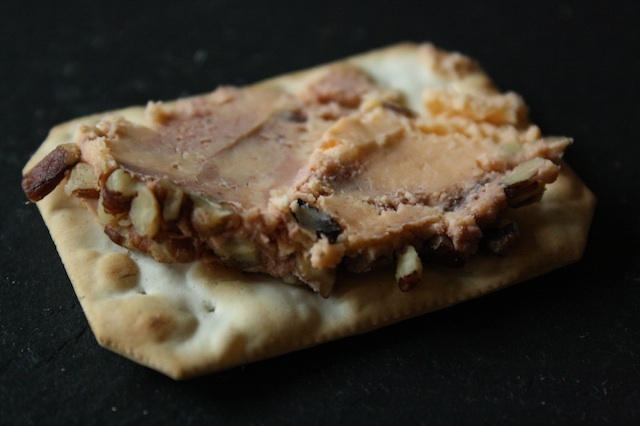 There were a few flavors as I recall, cheddar certainly and maybe something called “Swiss almond” but my favorite was a pastel pink and orange swirled concoction known as “port wine cheese spread.” I didn’t even know what port wine was until many years later, but damn I loved that stuff. It seemed very adult and sophisticated to my young mind, like the Daiquiri Ice at Baskin Robbins. The funny thing is, I swear in all these years it hasn’t changed a bit. I still buy tubs of the stuff occasionally, particularly while in Wisconsin where we might have 2-3 different types over the course of a weekend. My friends and I call this type of thing “spread cheese” as in it is cheese you can spread on anything and everything. Think it’s good on a cracker? Well, a few weeks ago I discovered it was absolutely delicious spread on a grilled bratwurst. What took me so long to figure that one out? But mostly, we stick to the crackers and consume embarrassing large amounts in an embarrasingly short timeframe. As one does. In the midst of all this Thanksgiving holiday hullabaloo and countless posts and lists and guides on easy holiday entertaining, I came across a Martha Stewart recipe for cheeseballs with infinite Martha-like variations. I was intrigued but even with her list of endless possibilities, in my mind, the very best ones are pink swirled. 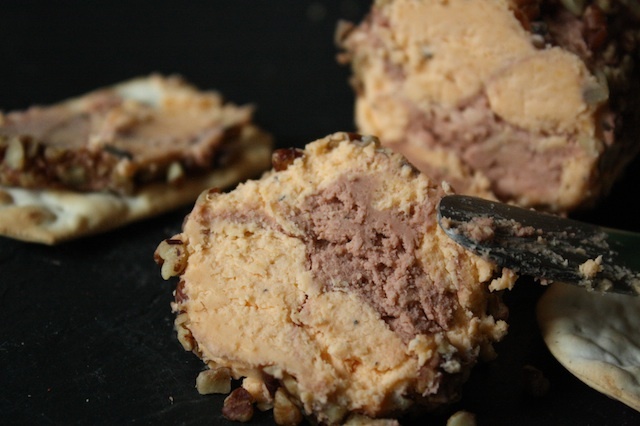 Could I make my own port wine cheeseball? Sure could. While I found a lot of recipes online, they all seemed … odd. So I went with my gut and created my own by reducing some ruby port until thick and syrupy and blending into a cheese blend of cheddar, cream cheese and spices. It’s delicious but definitely doesn’t taste like the Merkts or Kaukauna of my youth. It’s better. And for fun (and mostly because the pot ‘o cheese made for some really unattractive photographs) I formed a log, rolled in toasted pecans. Nothing says “festive” like a nut covered cheese log. Happy Thanksgiving dear readers! Wishing you an afternoon of good food, good company, decent football and a few good naps squeezed in there between slices of pie. STRESS THERAPY BAKING FACTOR: BRINGING BACK THE CHEESY. A festive occasion simply needs cheese, preferably in a shape of some kind. It does, and you know it so why not whip up your own version of this favorite? I’ll even give you bonus points if you form it into a ball and cover it with sliced almonds, like a pinecone. Double extra fancy holiday bonus points. But wait … stop the presses!! 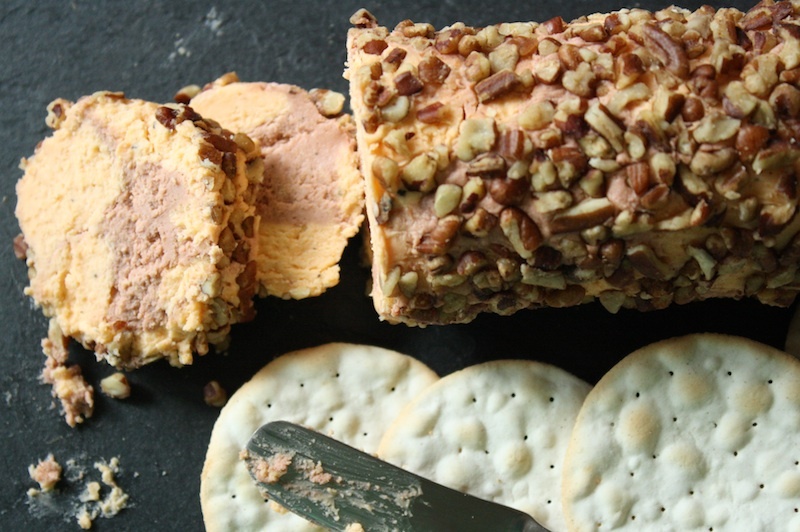 I just noticed on the Kaukauna website, that their port wine cheese log is like a target, with the ungodly bright pink cheese in the center, surrounded by the cheddar, then the nuts. Now there’s an idea. Wish I had seen it sooner. and oh, did you see the Baked Brie I made last week? Very festive. In a small saucepan, bring the port to a boil then reduce the heat to medium-low and simmer to reduce until thick and syrupy, to about 3 Tablespoons. Transfer to a small bowl and let cool completely. To a food processor, add the shredded cheddar, cream cheese, heavy cream, Dijon, salt, pepper and nutmeg. Process until smooth, scraping the bowl frequently. To get the proper consistency, this make take some time. 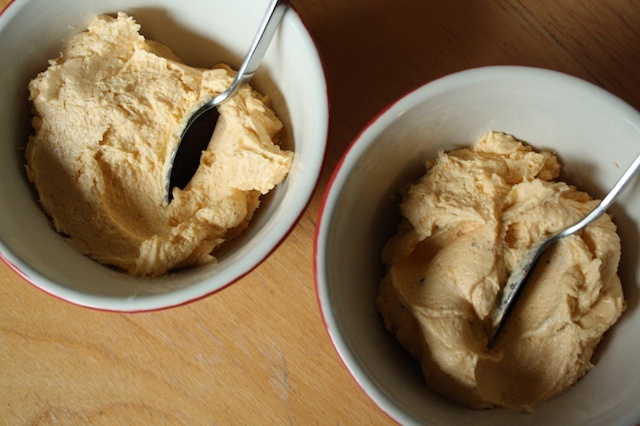 Divide the cheese mixture between two bowls. Add the port syrup to one bowl and stir until well combined. 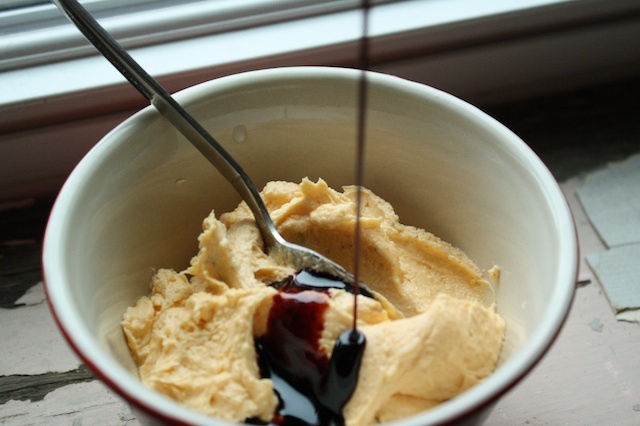 In a clean bowl, alternate dollops of the plain cheese mixture with the port wine version and gently stir together to marble. Transfer to large piece of plastic wrap and gently form into a log shape, about 8” long. Wash your hands then tightly wrap the log and give it a roll to even out the shape. Chill for 30 minutes, then roll again to get a nice round shape. Refrigerate for a few hours to set. This can be done up to 3 days ahead. Place the chopped nuts on a piece of parchment paper or a small rimmed sheetpan. Unwrap the cheese log and roll in the pecans, pressing to adhere. If necessary, press pecans in the bald spots to evenly cover. Serve with crackers or lightly toasted baguette slices. what a great idea! I love cheese spreads and indeed eat far too much of them at a sitting.